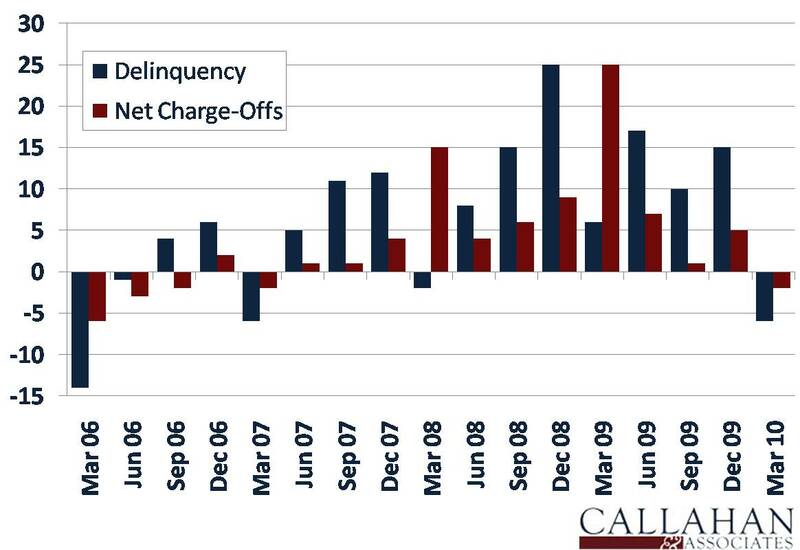 Delinquency and charge-off trends indicate a turning point in asset quality. This seasonal trend disappeared as the country entered the recession, leading to seven consecutive quarters of delinquency growth and eleven quarters of growth for the net charge-off rate. The return to seasonal trends signifies a return to normalcy, perhaps the strongest sign of stabilization. The net charge-off rate typically jumps at year-end as credit unions clean their balance sheets for the New Year, leading to a first-quarter dip in delinquency.